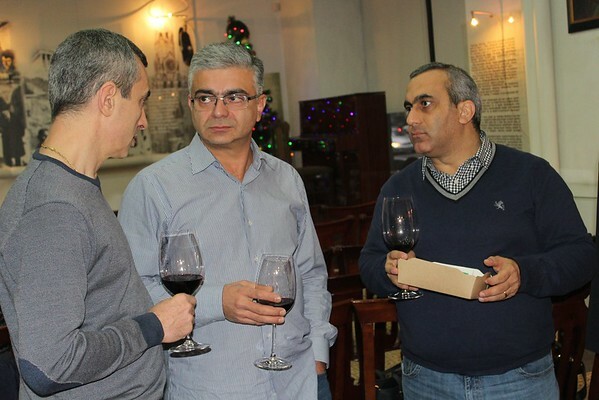 FAR closed out 2018 with a Christmas party for its Continuing Medical Education (CME) program trainers at the Charents House-Museum in Yerevan. The reception started with a tour through the museum, which honors the incredible life of Armenian poet Yeghishe Charents. Before the start of a concert, FAR Health Programs Director Dr. Hambardzum Simonyan thanked doctors for their work in hosting CME participants who come to Yerevan for month-long professional development courses throughout the year. During 2018, 92 doctors from Armenia and Artsakh participated in CME. You can see more from the event in the slideshow below.